Snake Eyes was my entry to the Tallahassee Trailhacks hackathon that took place in April of 2016. Trailhacks is a community-sponsored hackathon attended by professionals and local tech enthusiasts who compete to create the best outdoor-related app within a 24-hour time period. Trailhacks was sponsored by Trailahasse, an organization who wanted to create new tech for outdoor recreation in Florida's parks and trails. They provided custom mapping data on the ESRI platform that included trail pathways, parks, and points of interest that could be used in our submissions. It was up to the participants whether they wanted to use the data or not. Each submission also included a presentation to a panel of judges who graded the product on creativity, technical difficulty, and market viability. Before the hackathon officially started, I met with a few of my outdoor-savvy friends to interview them. Through this discovery, I learned that large populations of venomous snakes make their homes near the trails. I decided that an app that tracks venomous snake sightings while displaying information about the snakes in your area would both be useful for local trailblazers and an achievable goal for the hackathon. The primary tab was the map where users dropped pins that represented snake sightings. A secondary tab displayed a list of snakes that populated the trails in the area. Users would be able to tap on the picture of the snake they spotted to learn if it was venomous. The final tab included instructions on how to remove poison in the event of a snake bite and provided contact information to make a call to emergency personnel. Using my wireframe as a guide, I laid out the tabs in Xcode and began coded functionality using the Swift development language. Using APIs documented by ESRI, I loaded the custom maps created by Trailahassee. I added a function to drop color-coded pins that persisted between user sessions. 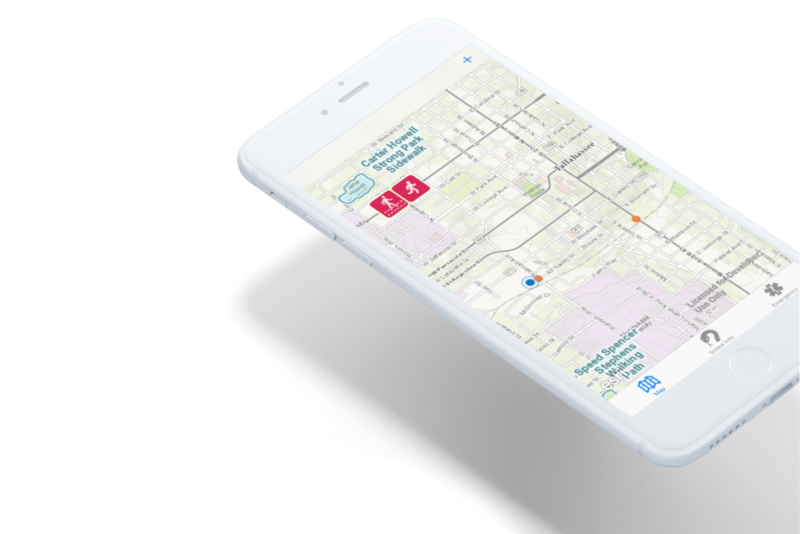 Through this implementation, it was possible to add additional types of pins to the map, allowing the scale of the app to go beyond marking snakes sightings and gave it the potential to mimic Waze-style reporting for local trails and parks. A local expert provided several resources that I could use to populate the information in my application. With these details in hand I continued my 24 hour sprint to finish coding, testing, and troubleshooting Snake Eyes. As a result, my submission of Snake Eyes won the Trailmasters prize, which was the top prize of the competition. The metrics of success were the app's simplicity in creative design and market viability.